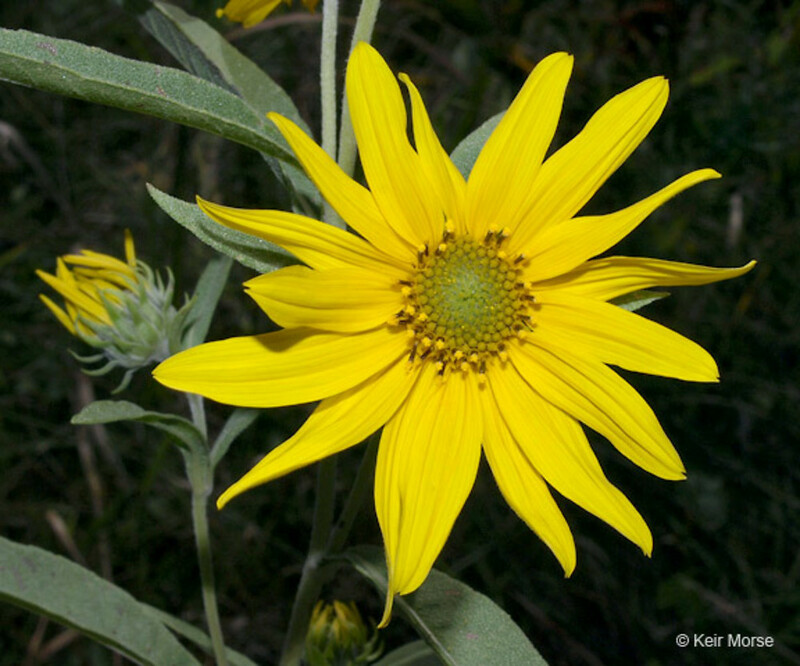 Maximilian's sunflower is probably native to midcontinental prairies, but has spread along roads and railways all over North America. 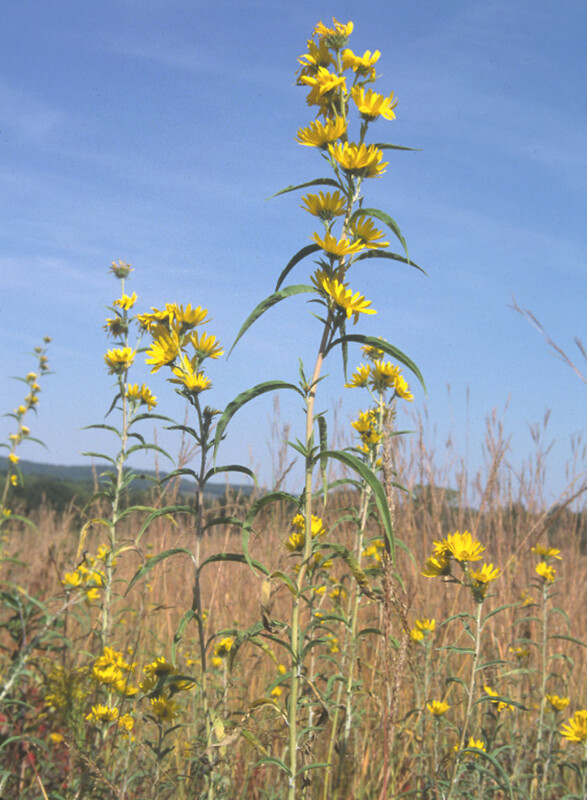 Maximilian's sunflower is named after Prince Alexander Philipp Maximilian zu Wied-Neuwied (1782 - 1867), who journeyed in the Great Plains and studied their natural history and anthropology. He published the two-volume "Travels in the Interior of North America" in 1839-41.
stem spreading-hirsute and leaf blades flat, usually with 3 prominent, parallel nerves near the base (vs. H. maxamiliani, with stem strigose and leaf blades sometimes folded and falcate-arched, especially in drying, pinnately veined near the base). 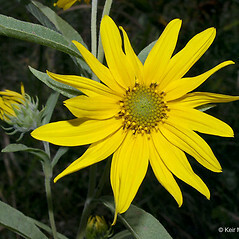 Maximilian’s sunflower. CT, MA, ME. Roadsides, fields, disturbed soil. 6×8. Helianthus grosseserratus × Helianthus maximiliani → Helianthus ×‌intermedius R.W. 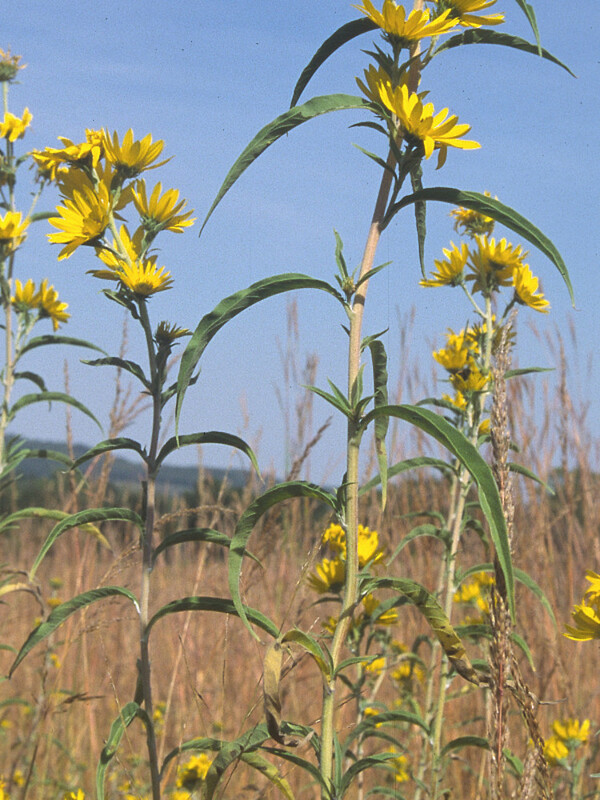 Long is a very rare sunflower hybrid known from MA, ME. 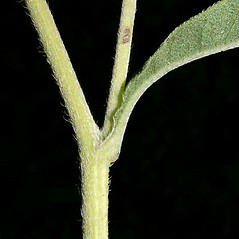 It has sparsely strigose stems, petioles 5–15 mm long, and flat leaf blades that are strongly scabrous adaxially. 6×H. salicifolius A. Dietr. 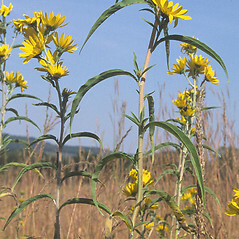 Helianthus ×‌kellermanii Britt. 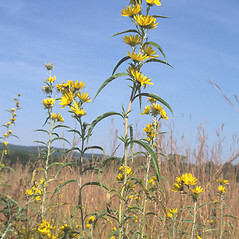 is a rare and local hybrid known from MA, ME. 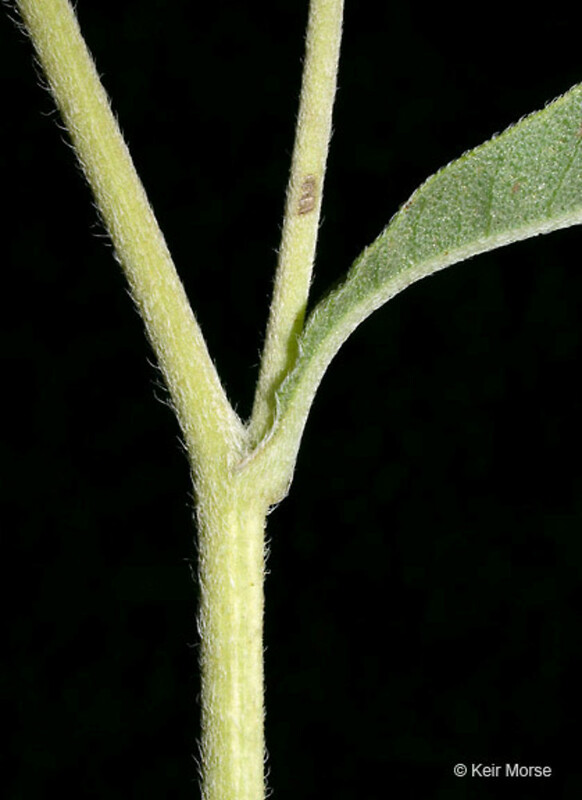 It is similar to H. grosseserratus, differing primarily in the linear to narrow-lanceolate principal leaf blades that are 10–20 mm wide and taper to the petiole and lobes of the disk corollas that are white-pubescent on the abaxial surface (vs. principal leaf blades lanceolate to narrow-ovate, 12–90 mm wide, tapering or rounded to the petiole, and disk corolla lobes glabrous or nearly so).